Last year, Yale made the trek to Columbia and got blown out. But that was on a Saturday night, after the long ride back from Cornell. This year Yale got Columbia on a Friday and made the best of it with an exciting 63-59 win, which left Yale as the only undefeated Ivy, a strange stat for just three games into the Ivy season. Justin Sears was far and away the best player on the court, with 28 points, eight rebounds, three blocks, two steals, two assists and zero turnovers, in addition to a game-saving block of an attempted three-pointer by Columbia standout Maodo Lo. Javier Duren made clutch free throws down the stretch. Yale got off to a slow start but still led 35-32 at the half. The Elis built a large lead to start the second half, but Columbia fought back with a barrage of threes, to cut the deficit to 58-57. 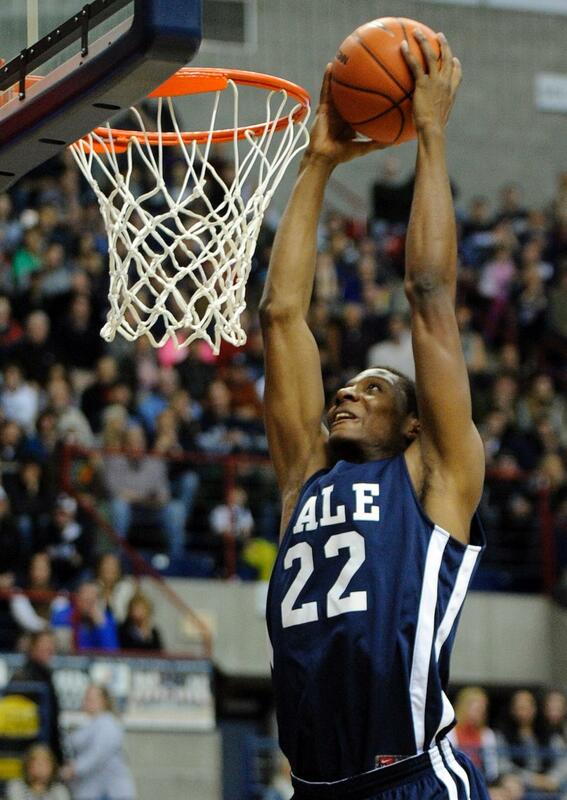 The Lions were unable to take the lead as Yale closed them out from the charity stripe. The game was played before a near sellout and very vocal crowd. Yale made the ride to Cornell last night and Columbia faces a Brown team reeling from a player defection (leading scorer Leland King) and a squandered lead at Cornell. It is tough to believe that the Elis can run the string undefeated in a very competitive Ivy League. Last year’s loss at Levien was a Sunday afternoon made for TV. So much for the bus ride theory.